Been busy times at SJ Effects the past few weeks. One of the things I have been working on is my Tonmeister design. The Tonmeister is a 3 band equaliser based around the 3-band Baxandall active equaliser design. The circuit also comprises of an input buffer, and output gain stage, to increase versatility. ‘Tone sculpting’ after/before other effects (the Tonmeister is great fun to tweak running after an Overdrive/Distortion/Fuzz pedal). It also works great on Bass guitar! I’m really loving this circuit at the moment; its incredibly versatile, kind of an ‘always on’ pedal. I’ve found it really cool running after Fuzz pedals to ‘shape’ the overall tone of fuzzes. There is an internal voltage inverter circuit that enables the circuit to run at +9/-9V. This allows for more headroom to be available than with standard ‘9V only’ boosts and eq’s. 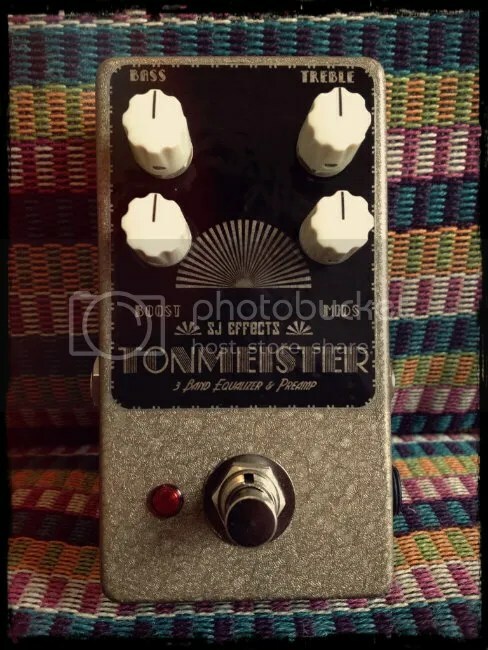 I’m considering the Tonmeister becoming a ‘standard’ SJ Effects pedal (along with the Tesla Cannon and a few other things) in the near future. If you would like me to build you one just get in touch! 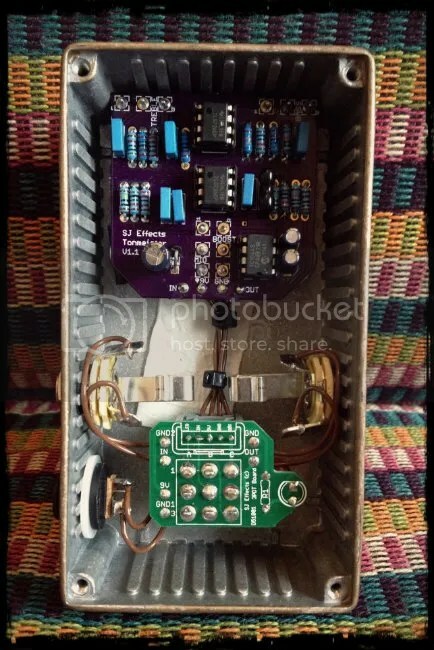 This entry was posted in Uncategorized and tagged custom eq, custom guitar effects, custom guitar pedals, guitar eq by sjeffects. Bookmark the permalink.